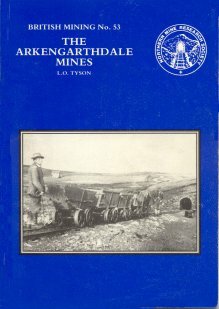 Following the publication of the Mines of Grinton, the author has taken the opportunity to revise and expand his earlier monograph on the mines of Arkengarthdale, which was first published as BM No.29 in 1986. Lead was mined in this tributary of Swaledale from at least medi涡l times and in their hey day in the 19th century the mines were amongst the most productive in Yorkshire, supporting a far larger population than lives in the dale today. Remains of hushes still scar the valley sides and other evidence of mining activity is easily found throughout the dale. Chert and coal were also got in Arkengarthdale and the monograph looks at their production, as well as that of lead.